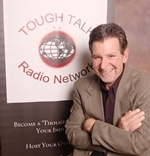 Tough Talk with Tony Gambone is a show where you will hear from authors and experts. Join in on a conversation where Tony will be asking the tough questions. He not only offers valuable advice and tools to succeed, he offers the honest path to success. Drawn to the ever-evolving world of business, Tony devotes his life to the success of up-and-coming entrepreneurs. What began as a simple talk show has now become a full-fledged radio network, allowing Tony to further assist entrepreneurs on their journeys. He sees this not as another business conquest, but as a way to give back.